It’s Sunday, the sun is shining. It’s the busiest day of the week at A-Bike. A father with her daughter walks in at our shop A-Bike Rental & Tours Dam Square. They are not very sure about what to rent, he asks advice about the Bakfiets. Our colleague explains them how the Cargo works and they start to get excited, it looks like a great option for them. In the meantime, they explain to us why they are in Amsterdam. They live in Las Vegas Nevada and they are flying to Israel, where the grandfather of little Camila (the girl in the picture) lives. They had their transit in Amsterdam, and they just got few hours to visit the city. They decided to enjoy it by bike, the best way to get around in the capital of bikes. They do the registration in our system and after that, they are ready to go! By that moment we are already in love with Camila. She is five years old and she is very smart., she has adult conversations, and we love her facial expression!! Ten minutes after, they come back. It looks like maybe it wasn’t the best decision to rent a cargo. It was his first time riding one and it was too difficult for him. Actually, we agree, it is not his fault. On Sundays, the city is super busy when the weather is great and sometimes it is even difficult just to walk. But they didn’t give up, they still want to discover the city by bike but they want to look for a different option that can suit with both of them. This time they choose a normal bike with a child seat at the back. We could see Camila’s face, she was so happy! 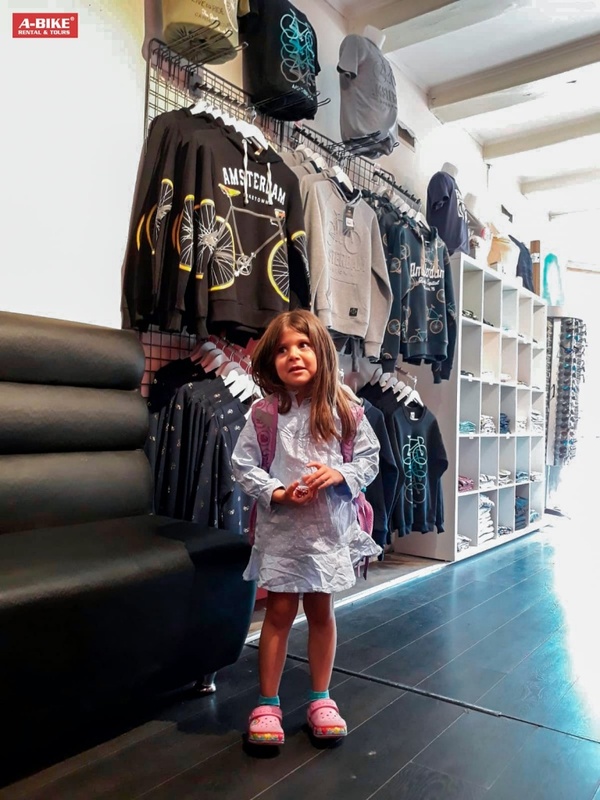 Camila was carrying a cool backpack, we offered her to keep it at A-Bike, in the cargo it could be comfortable but on the new bike, we were not sure… But she was clear about it: “No, it is mine, I will bring it with me”. We just laugh. After three hours they come back, they had a really good time. “ It was fun” Camila says with a big smile on her face. His father agreed with her, but at the same time, he added that he was tired. Then, Camila said “my papi is a baby and he is afraid of the bikes”. She started caressing his father saying oh little baby, oh little baby. She is so spontaneous! To confirm that she is an extraordinary girl, she can speak four languages: Russian, Spanish, Hebrew, and English. His father affirmed that he doesn’t consider her from any specific place in the world, she is just a citizen of the world. Her family is split around the world and she has been living already in many different places. 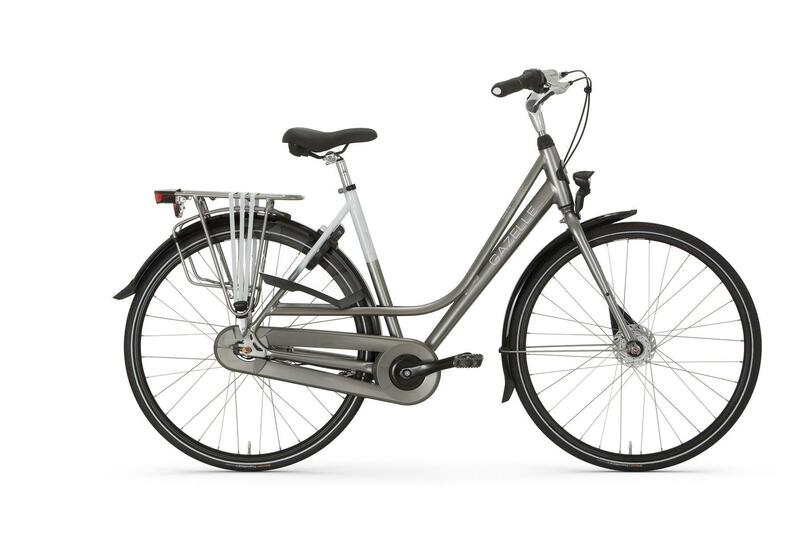 We didn’t want to say goodbye to her, we wanted her at A-Bike to help us and have a good time together. We gave her some bike’s stickers as a present and she promised to come back with her friends once she is eighteen with her friends. We would love to see her again!